Tushar Unadkat CEO, Creative Director of MUKTA Advertising holds Master of Design from University of Dundee, Scotland and Honors in Photography from University of Wolverhampton, England.An award winning scholar, Tushar Unadkat executed art direction in the film, fashion and advertising industry world-wide. 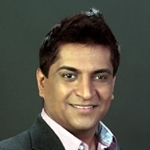 Unadkat won copious international awards and nominations, including the BBC Asia Award, New York City Citation, India’s Pride of Gujarat and an award of recognition from the Canadian House of Commons amongst others.Currently, Tushar serves on advisory board for various altruistic organizations. 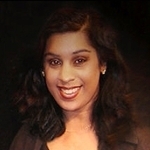 Mitali Adlakha earned titles of a broadcast/print/web journalist with a global perspective with academic training in film studies from Kellogg’s College, Oxford University, certification in broadcast journalism from Seneca College, Master’s Degree with Honors in Comparative Literature, Jadavpur University and a Bachelor’s Degree with Honors in English Literature, Loreto College.While working with the leading international advertising agencies Mitali spearheaded product launches and created award-winning campaigns, established corporate and global brands for Fortune 500 companies, government enterprises and concurrently volunteered for prestigious not-for-profit organizations. 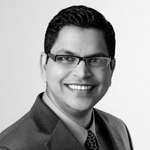 Kunal Gauba with 14 years of diverse media industry experience in Canada and abroad; brings a unique perspective through his understanding of both traditional and new media.Kunal’s academics include a Bachelor in Commerce degree from Ryerson University, a diploma from the Recording Arts Program of Canada and a graduate from Humber College’s Post Production program. In the past Kunal freelanced as a sound engineer, picture editor, writer, consultant amongst other significant roles.Currently, Kunal works as a content manager for a mobile video service provider. 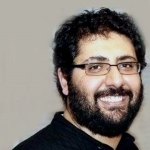 Kuldeep Walia joins Nouveau iDEA as Director of Information Technology. A geek with core competencies in Information Technology. Kuldeep holds a Masters degree in Computer Applications.Kuldeep loves his work and beer without which his survival is at risk Prior to moving into Canada, He gained valuable experience working with large business houses in Dubai, UAE. When he is not working, he writes codes for websites, plugins, modules, etc.He has been instrumental in bringing a technological change to Nouveau iDEA. 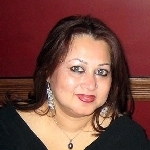 Currently Kuldeep works as a ‘Director of Business Development’ and provides managed IT services to clients across Canada.